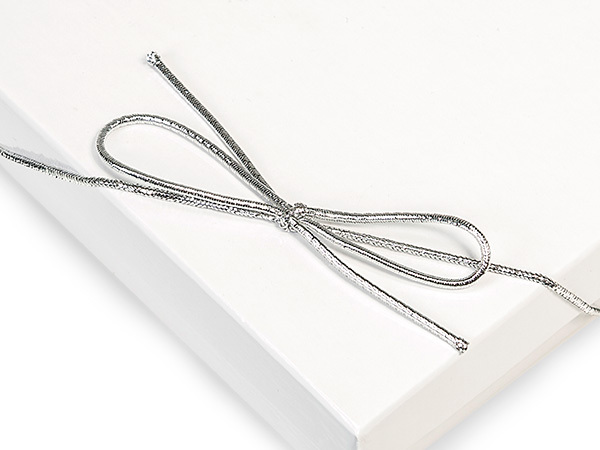 6" Silver Metallic Stretch Cord Loops with pre-tied bows are made from 1/16" round elastic with metalized polypropylene coating. Mini Pack: 50 Stretch Cord Loops. Great for jewelry boxes.